As a parent, I feel a strong obligation to expose my child to arts of all sorts. From museum exhibits to cultural festivals to live theater – I believe that you need to instill and develop an appreciation of the arts from a young age. Most people don’t just wake up at 35 and say, “I think I’d like to go to the opera…” I cherish the memories I have of my Mother driving us into Dallas to see The Nutcracker at Christmas and getting all dressed up in our Sunday best to see a play at the local community theater in my small hometown. I actually have a blind date to thank for taking me to my first opera (His law firm had tickets and he thought it would impress me if we went. He was right, it did.) But it was all those years of watching Bugs Bunny and old cartoons where my love of classical music first took root. As a teenager I was a choir GLEEk who spent hours watching the MGM musical motion pictures of the 1940s. The clothes were glamorous and spectacular, the song and dance numbers took my breath away and the boy and girl always fell in love and (despite all the odds) tap-danced happily off into the sunset. I would have given anything to be Ginger Rogers being twirled around a ballroom by the dapper Fred Astaire. I encourage you to expose your children/tweens/teens to the complexity and beauty of classical music and to let them experience the magic of a great stage performance early on. Plant the seeds now and encourage an exploration of art and music that will take root and grow and develop over time. I’m still a girl who loves a Gershwin tune and as such, am always thrilled to take my seat for a Dallas Summer Musicals (DSM) performance. Do you have a favorite live theater memory? If so, share it in the comments below! Dallas Summer Musicals’ seven-show season tickets, starting at $134, are ON SALE NOW at DallasSummerMusicals.org or at The Box Office, 5959 Royal Lane, Suite 542 in Dallas or by phone at 214-346-3300. Season ticket buyers have the option to add on WICKED to their season subscription for an 8-show package starting at $174. For season tickets, groups of 10 or more receive a 15% discount. 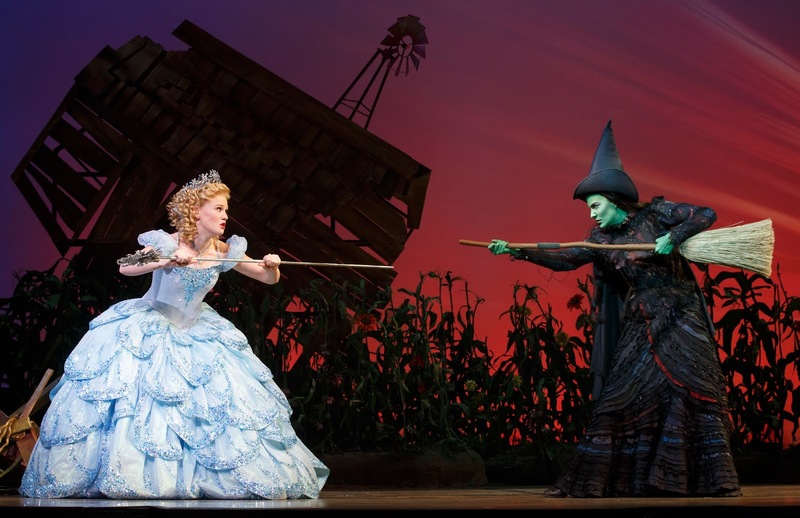 For WICKED, groups of 15 or more save on select performances. All groups receive priority seating and many more benefits. Please call 214-426-GROUP (4768) or email Groups@DallasSummerMusicals.org. This post was brought to you by Dallas Summer Musicals. While I did receive compensation for authoring this post; product selections, descriptions, and opinions are 100% my own. Interested in a sponsored post or product review for your brand or event? Contact me for rates and details.